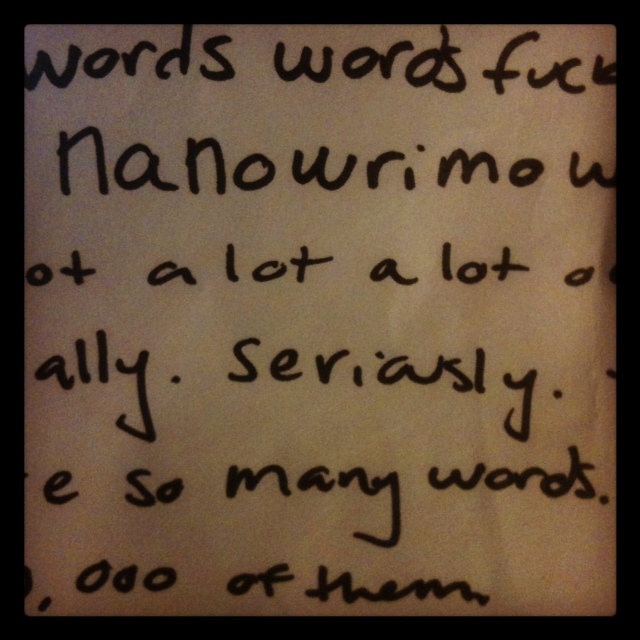 It seems a little odd since I haven’t even found the muse to write here regularly but I’ve decided to participate in NaNoWriMo again this year. Call me crazy (Really. It’s okay. You can.) but I think at the moment it’s a good thing for me. Do I expect anything grand to come of it? Nope. But it’s a nice reminder that I write. It’s a nice way to push myself in the direction of something I’ve loved as long as I can remember. Telling a story. Narrating a tale. Getting a point across in words. I remember how proud I was as a kid when I wrote the story of Pepper the cat. After that it was words words words. Long stories. Short. Tales of fiction. Stories about my life. Poetry. Prose. I even wrote song lyrics a time or two. And this time I’m diving into a genre I’m not really to familiar with. I usually write for myself or for an adult audience, but this time I’m trying something new. Writing with my kid and her age group in mind. It’ll be an experiment. It’ll be an adventure. It’ll be something. And by something I mean I won’t be using any profanities… so there’s that. Here’s wishing you a successful month, and beyond, of writing.